BILLED as the fastest way to cross the surface of the earth, hyperloop represents the greatest leap in transport infrastructure for generations. 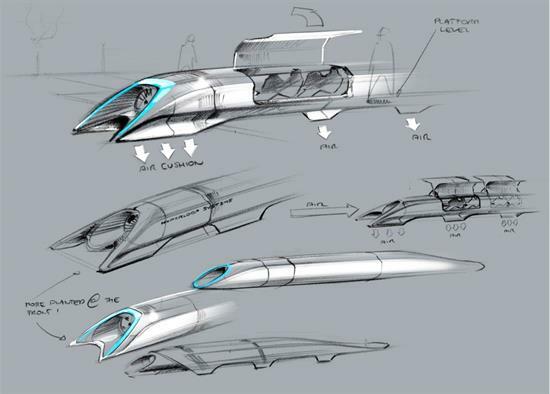 With passengers sitting in pods that travel at airline speed through pressurized tubes using electric propulsion and magnetic levitation, the concept promises to slash journey times between major cities from several hours to a matter of minutes. 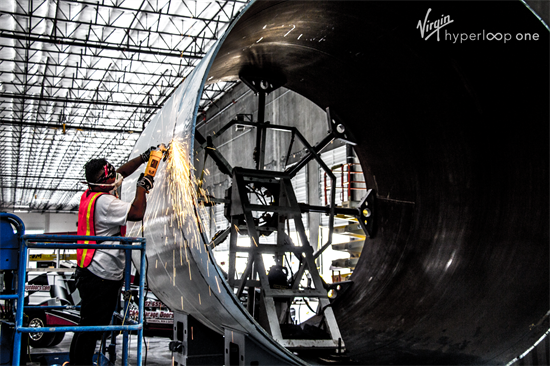 Whilst it may feel like science fiction, hyperloop is now on the cusp of becoming a reality. 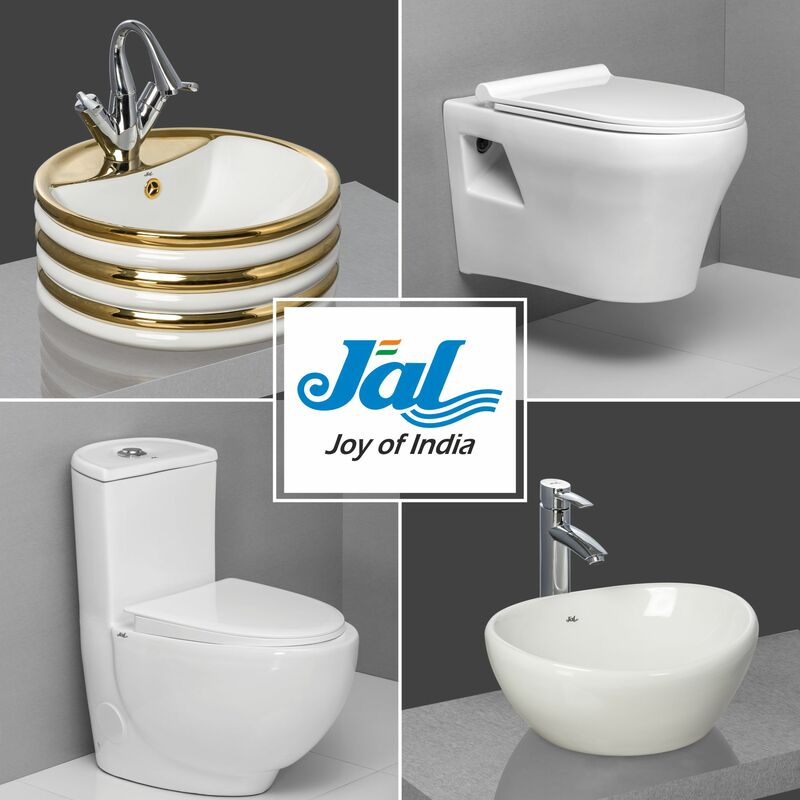 The idea was first conceived in 2012 by Tesla and SpaceX founder, Elon Musk. In a white paper released the following year, Musk set out his vision for a futuristic, super high-speed transportation system that would see passenger pods move through a partial vacuum in steel tubes – addressing the two key factors that slow down conventional vehicles: friction and air resistance. Exploring a potential route between Los Angeles and San Francisco in the United States, Musk believed that his concept could cut the eight hour bus ride, four hour train journey and convoluted three hour air travel experience between the two cities to just 30 minutes. Under Musk’s first hyperloop proposal, he suggested that compression fans would move air around the passenger pods to minimise drag and create “air bearings” beneath them, floating them off the surface of the tubes. It should be noted that Musk’s early hyperloop concept is not a million miles away from Isambard Kingdom Brunel’s atmospheric railway that ran between Exeter and Plymouth in the UK from 1847 to 1848. That system, moved carriages with pressurised air. The air was extracted from a pipe that ran between the rails by pumping stations situated roughly every three miles along the route, creating a vacuum. A piston contained within this pipe was connected to the train, which pulled it forward. Despite its initial success, the leather flaps that made the vacuum pipes airtight soon began to fail causing air to leak from the system and Brunel’s system was abandoned. With an estimated price tag close to USD $6BN, Musk’s first hyperloop concept never came to fruition – but the impressive idea and potential to link cities in such a direct way sparked intense interest. 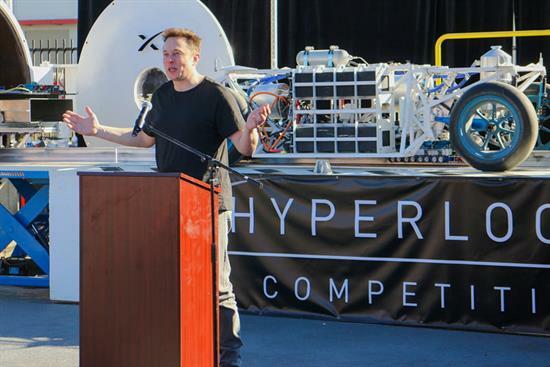 From inception, Musk had always stated that the concept of Hyperloop would be “open source” – and he actively encouraged others to come together and develop the necessary technology, independently from his involvement. 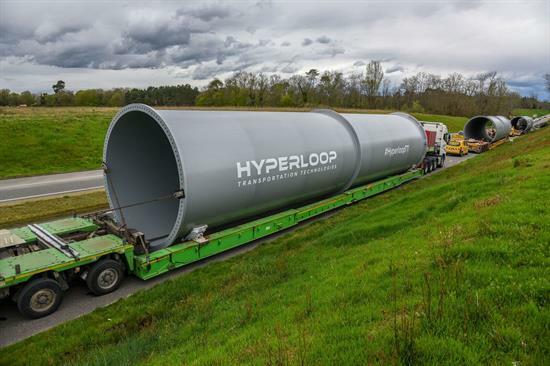 This led to the formation of several start-ups and student teams developing various aspects of hyperloop technology with varying degrees of success. 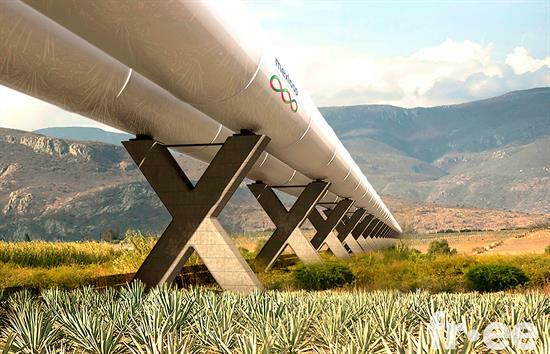 Now, several fully fledged companies are making significant strides to bring hyperloop systems into reality. 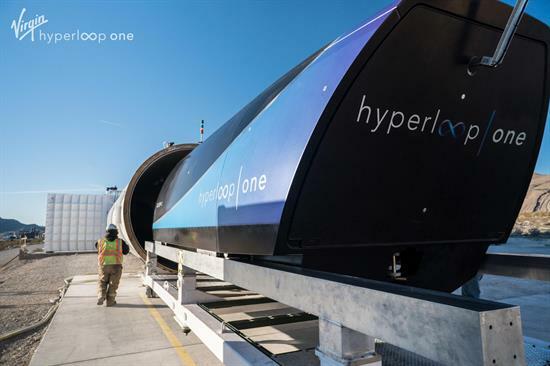 Hyperloop Transportation Technologies (or HTT) are making aggressive advancements and recently constructed a full scale test track in France, however the clear leaders of the pack in the current standings, are Virgin Hyperloop One. Virgin Hyperloop One are on track to achieve their bold ambition of bringing a hyperloop system into operation by 2021. Originally formed in 2014 as Hyperloop One, the company was rebranded following a significant investment from Sir Richard Branson in 2017. Deviating slightly from Musk’s original plan, Virgin Hyperloop One’s technology combines two basic principles. The first is magnetic levitation (or “MagLev”), a technology already used in monorails to lift the passenger pods and move them along their rails. Magnetic levitation uses two sets of magnets; one to repel the train from the track and lift it upwards and the other to move the floating train along the track at considerable speed with reduced friction. The second principle is the use of a low pressure, vacuum sealed environment for the passenger pods to travel through. By removing most of the air from the tubes and having no contact with the ground, the pods face little to no resistance as they move. Air pressures inside hyperloop tubes are equivalent to flying 200,000 feet above sea level. Such an environment enables the pods to reach speeds of over 760 mph using very little energy. By virtue of being in a tube, the system is protected from the weather and can operate in almost any climatic conditions. Virgin Hyperloop One’s system is controlled by advanced software that ensures acceleration and deceleration occurs gradually, going relatively unnoticed by those travelling inside. 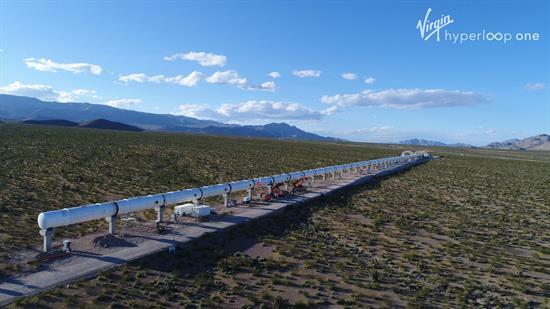 Having built a 500 metre track in the Nevada desert, Virgin Hyperloop One have carried out several real-world tests focusing on individual aspects of the system and a complete full-scale systems test in May 2017. The propulsion, braking, levitation and vacuum systems are all performing well and the team have achieved a top speed of over 240mph to date. 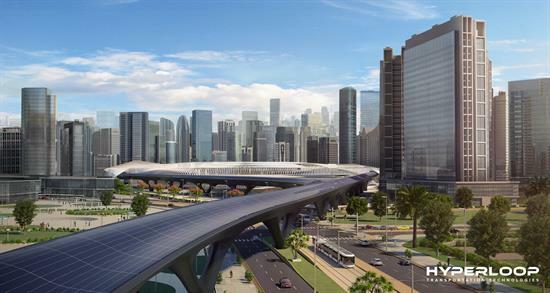 WHERE WILL HYPERLOOPS BE BUILT? To inform their plans for developing a fully operational network that is affordable for all, Virgin Hyperloop One launched a global challenge to find the routes best placed to benefit from hyperloop technology. 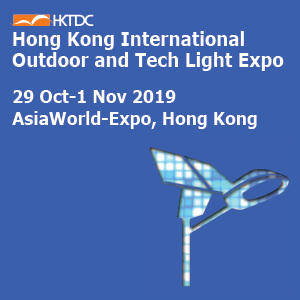 With over 2,600 entries, the field was reduced to just 35 potential locations – with each entry enjoying with strong support from governments and urban planners. 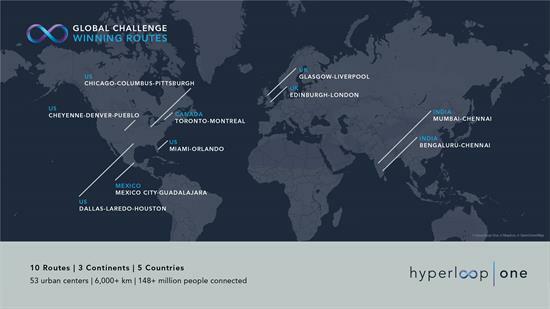 With 10 winners across five countries, Virgin Hyperloop One are now working in partnership with each of the locations on how to best deliver the hyperloop technologies in live networks. 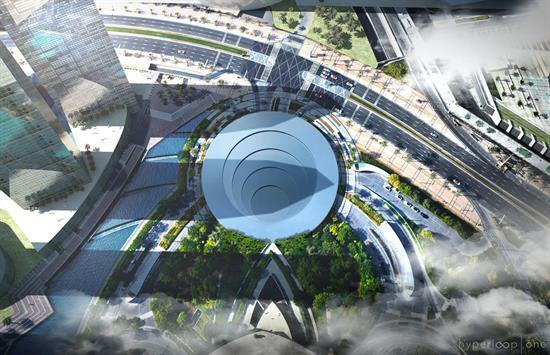 In February 2018, the firm unveiled their first prototype passenger pods for the Dubai-Abu Dhabi hyperloop route, a network that would drastically cut the car travel time between the two cities from two hours to just 12 minutes. 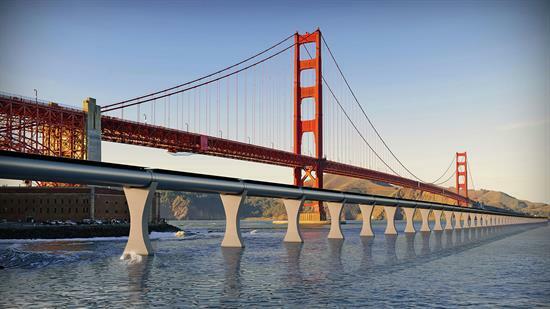 The advantages of hyperloop are considerable. Like train stations, hyperloop stations – called portals – are planned to be located within inner city areas with easy links to existing transport infrastructure. This gives hyperloop systems a distinct advantage over air travel, where airports tend to be located beyond city limits with fewer accessibility options. 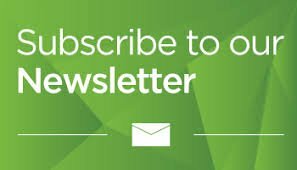 Additionally, the system is being developed to function on a “turn up and go” principle without a lengthy check-in process and with accelerated, advanced security checks. Another benefit is its speed. If hyperloop could significantly reduce the travel time between cities, it could be possible to live in a completely different city or part of the country from where you work, with a commute no dissimilar in length to the one you perhaps take today. This opens up a wide range of housing and employment opportunities with people no longer restricted to have living close to where they work. It could also take pressure off our cities where infrastructure is often still catching up with development, and where house prices have become unattainable for most. With speeds rivalling aircraft – and nine of the top 10 busiest air routes in the world being domestic – hyperloop has the potential to completely revolutionise the way we live, work and travel. A hyperloop system requires very little energy to propel pods through its tubes as the vacuum environment poses little resistance. As such, the systems could be powered by renewable technologies such as solar and wind, offering a considerably cleaner alternative to air travel. When you consider the prospect of people being propelled in tubes across the earth’s surface at near supersonic speeds, there are a number of questions that instinctively jump to mind. 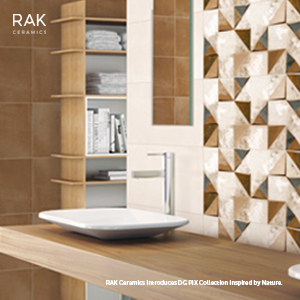 Perhaps the first is the impact of a potential break or breach in one of the tubes – possibly as the result of an earthquake or external impact. Virgin Hyperloop One explain that they have addressed this by constructing thick steel tubes that are extremely difficult to puncture or buckle. 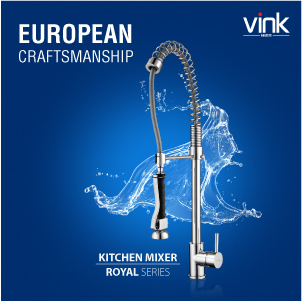 Additionally the tubes are engineered to withstand changes in pressure and air leaks while maintaining their structural integrity. It is thought that a sudden influx of air into one of the tubes would simply slow the pods due to the increased air resistance. The pods could then be directed to the next portal via an auxiliary power boost. There is also the ability to section off parts of the route and to re-pressurize sections where significant emergencies occur and all pods are expected to be fitted with emergency exits. Externally, hyperloop systems will largely travel on elevated seismically designed pylons that are able to move and flex independently of one another minimising damage in the event of a major ground shift. Sensors along the route would instantly report issues to the systems control centre. In answering the natural safety concerns raised, Virgin Hyperloop One also point out that millions of people already travel at high speeds in metal tubes every time they take a flight, and that numerous concerns surrounded the use of jet aircraft when that mode of transportation first came to prevalence. While the idea of hyperloop may seem far-fetched, when you consider the industrial progress made in the past 200 years, the current rate of technology adoption in our societies and the significant advances being made by hyperloop companies around the world, this incredible new transportation system looks set to become a part of our everyday lives in the very near future.